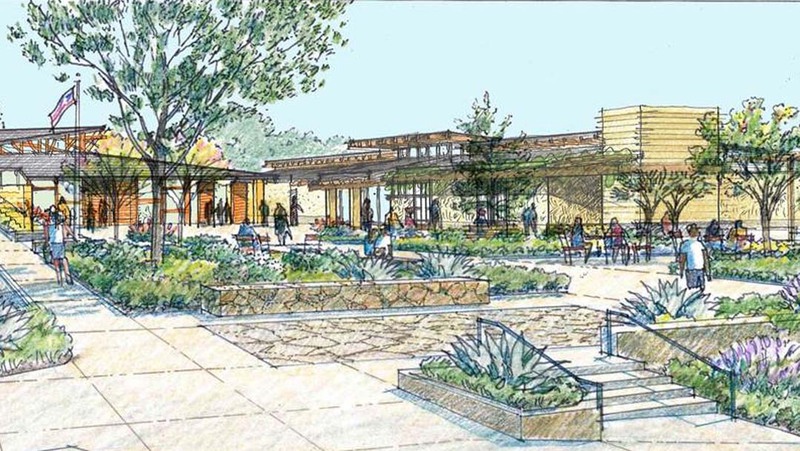 DEL MAR — A recommended donor program that would be used to help supplement funding for the new civic center was seen as too pricy, and the council subcommittee at the July 18 meeting was sent back to the drawing board to refine their preliminary plans. “We’re just kind of beginning to sketch out what we’re thinking but we wanted to get your reactions to it before we start talking to the community a little bit more,” said Terry Sinnott, who serves on the subcommittee with Mayor Sherryl Parks. “Donor funding is very useful for a number of reasons,” Planning Director Kathy Garcia said. It allows direct community participation, can further enhance the original budget and save money that could be used for other projects, she added. Working with staff, Parks and Sinnott developed six donation packages totaling almost $1.7 million. A holiday tree, furniture, a monument sign, paving and pathways for the northeast corner of the site is estimated to cost $600,000. A $400,000 donor opportunity was proposed for a trellis, outdoor tables and chairs, a synthetic lawn area and landscaping for the ocean-view terrace above the parking garage along 10th Street. An estimated $230,000 could be donated to buy furniture and landscaping for Del Mar Commons, the large plaza in front of the City Hall and Town Hall buildings. A $200,000 donation would furnish the 500-square-foot catering kitchen, a project addition requested by residents, with appliances and fixtures. A $65,000 donor opportunity was proposed to furnish the roof terrace above the TV studio. “My instincts are that these asks are too large for the spaces involved,” Councilman Don Mosier said. “I see big benefits in focusing on the catering kitchen and the Town Hall because those have community benefits that are pretty easily identified. “We can set levels at any … amount that you feel is appropriate,” Garcia said. Councilman Al Corti suggested offering donor opportunities by category rather than location. For example, some residents may be more interested in funding sustainability features, such as solar panels, rather than catering kitchen items. “Whatever is going to market it best,” he said. The subcommittee also developed guidelines for donor recognition. Contributions would be accepted from individuals or nonprofit organizations and not corporations. A specialized plaque or art piece would be integrated into the design rather than having a nametag “on every bench and rock and paver stone,” Garcia said. Worden said he has concerns that donors who contribute may feel they are entitled to actually select the furnishings. “Hopefully it becomes a community thing,” Sinnott said. The proposal will be presented to council again for input and possible approval. The effort won’t be launched until construction bids are received. Earlier in the meeting, council unanimously agreed to start the bid process for the $12.4 million construction phase of the $17.8 million project. Council members are expected to award the contract at the Sept. 6 meeting.